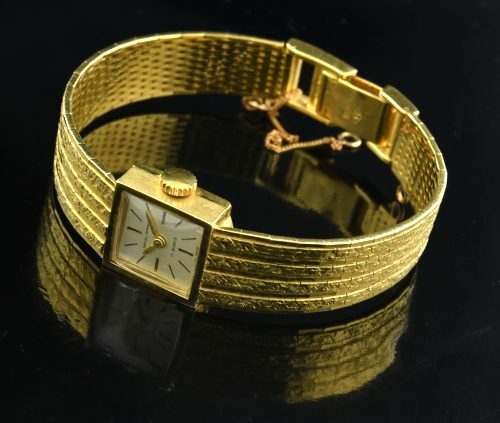 Ladies, This is a solid gold 1970’s Daniel Perret Swiss cocktail watch-a piece of jewelry, as well as a fine timepiece. The 18k. 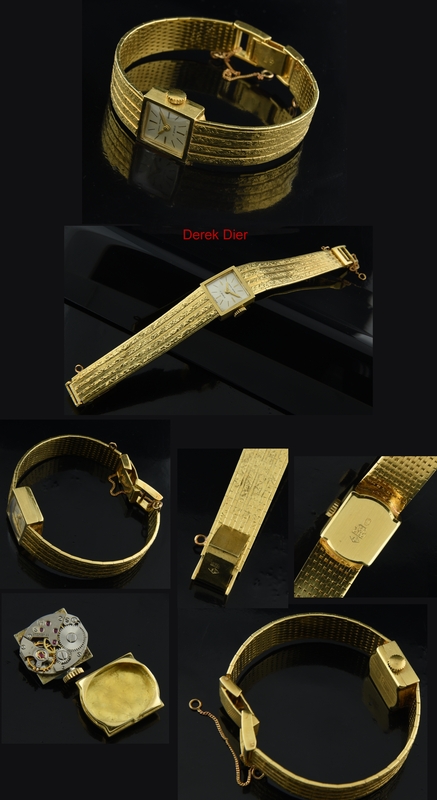 solid gold watch is attached to the integrated 18k. solid gold bracelet. The manual winding SWISS movement was cleaned-accurate. The head of the watch is demure in size-understated. This is an investment in gold as well as a functional vintage watch. A heavy solid gold vintage SWISS watch.